Juventus has gone through a massive overhaul in the last two summer transfers and in 2018 they pulled off a surprise with signing Cristiano Ronaldo for a massive £105.3m transfer fee making him the highest paid player not only in Italy but in the World. 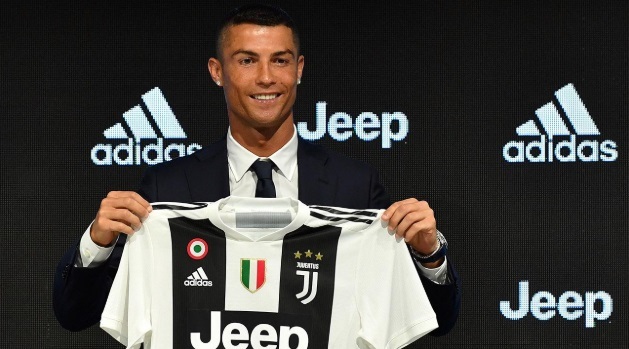 Ronaldo signing is just one off as Juventus recent transfer activity clearly show the mindset shifting to acquiring younger players both from Italy and Abroad. They also signed João Cancelo for £36.36m and made Douglas Costa permanent transfer at £36m. Gonzalo Higuain has been let go to join AC Milan on 1 year loan deal kind of equaling the effect of Ronaldo wages. We take a look at Juventus 2018-19 squad contracts and player salaries. Juventus have had the highest wage bill in Italian Serie over the last 6-7 years and their current wage bill stands at around €191 million thats around €20m increase from last year’s wage bill which was around €170m . Not only they are buying highly rated youngsters from Serie A but they are still making those typical Juventus style loan signings of already established starts whom they have to pay massive salaries. 2018-19 Salaries: Juventus have a very big squad and they are still not afraid to spend money as the things stand. They have brought in Ronaldo, Cancelo but let go the like of Gonzalo Higuain (Loan), Rolando Mandragora, Tomás Rincón and Giangiacomo Magnani. Juventus wage bill is expected to increase by atleast €20 million from last year’s €170m. What about weekly salaries? Any news on that?